Do you have a trail running addiction or are you a city runner who is looking to escape the concrete jungle? Are you looking to improve technique and strength? Do you want to try something different and meet new people? The trails are the most beautiful place to exercise and a great way to shake yourself out of a running rut. Take your performance to the next level, on and off the dirt. Lots of pro runners do it, why shouldn’t you? Our Trail Lover sessions are coach trail running sessions designed for everyone who can run a continuous 5km at ANY PACE. It’s about more than just trail running fitness. We believe in the importance of efficiency and good form and focus our sessions on improving your running through specific technique, core and strength exercises. Check out our calendar for the Trail Lover trail running training sessions and register for your free, no commitment trial today. You won’t be disappointed. All of our sessions are casual with no membership required and no weekly financial commitment. Won the Free 4 week training session, but was wondering if I would be able to book in a trail Lover morning Sesh for Wed 3-Oct instead of a Mountain Goat ? Hey Ed, Congrats again, we are looking forward to meeting you. 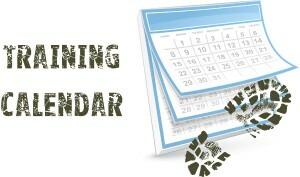 No need to book, your welcome to come along to any of the sessions we have on the training calendar. Friday the 3rd’s Trail Lover will be a great session to start with. We’re looking forward to seeing you there! Given you are racing at the weekend we will make sure you don’t push too hard. Just to clear up any confusion, whilst the Mountain Goat session notes you should be able to run 10km to attend, this isn’t an indicator of the distance we will be running in that session. Each session will involve some technique work and we might well run much less than 10km to achieve the session goal. For example, if the session is a strength set we will be taking some fairly long breaks to make sure we can run with good form and build strength on each effort. Sounds Good, Thanks Tim !